In 1974, gas leaking from a nearby storage tank forced the residents of Altgeld Gardens from their homes. A dozen or so people gathered around Cheryl Johnson for a grim kind of story time. Johnson is the de facto matriarch of Altgeld Gardens, a public housing complex on the far southeast side that's home to about 5,000 mostly black residents. Altgeld is almost bucolic looking, cut off from the rest of the region by the curve of the Little Calumet River, the woodsy Beaubien Forest Preserve, and a water treatment plant. The area's nickname—the "toxic doughnut"—is less rustic. 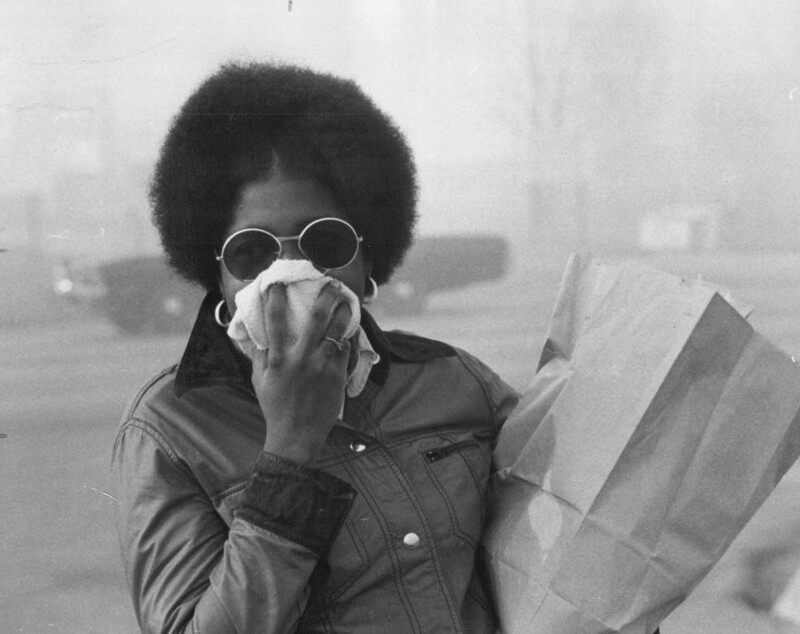 Altgeld Gardens is seen by many as the birthplace of the environmental justice movement, and as Johnson's visitors clustered around her she ticked off a list of the pollutants that have plagued her neighborhood for decades. "We had fiberglass, asbestos, lead," she said. "The PCBs. And you talk about the soil contamination, we had DDT, DDE, DDD. All those industrial pesticides in all these yards over here that are still hot today." Altgeld's proximity to the southeast side's slew of factories, landfills, dumps, and polluted waterways has left its residents exposed and vulnerable for more than 30 years. And although Johnson has been preaching this gospel for decades her audience was unexpected. A gaggle of professional environmentalists and longtime community activists were joined by a small handful of bona fide celebrities. Among them was Antonique Smith, an actress and singer who played Mimi in the Broadway production of Rent and Faith Evans in the B.I.G. biopic Notorious, and Malik Yusef, a poet, rapper, and filmmaker who writes tracks with Common and Kanye West and who wrote and produced a short film that was an official selection at Cannes. Altgeld was just one stop on a cross-country bus tour of environmental justice sites around the country. The tour, which is sponsored by the Hip Hop Caucus and People's Climate Music, includes stops in New Orleans and Ferguson, Missouri, among other cities. Yusef grew up down the street and described his childhood dismay at learning of the pollution in the area's waterways. "Maybe I just have a gene in me from my dad or something to be an activist," he said. His father was involved in the civil rights movement of the 1960s and '70s. Yusuf added, "And this is truly a civil rights issue as well." President Barack Obama helped rid the housing complex of fiberglass and asbestos insulation during his days as a community organizer here. "It was a blessing because I was always the one who had to climb up in the attic to get our bikes in the summer," Johnson explained. "And I would come out scratching for days." But that was far from the worst of the effects. Johnson inherited this fight from her mother, Hazel. "She heard that the south side of Chicago had the highest incidence of cancer of anywhere in the city," she recalled. "And she knew people who had cancer. So she started inquiring and found out that this area had all the environmental problems we have." Hazel Johnson was one of several activists who convinced President Bill Clinton to sign an executive order in 1994 insisting that the U.S. Environmental Protection Agency take "EJ" principles, as they're called, into account. The agency now defines environmental justice this way: no group of people, including no racial minority, should be disproportionately burdened by the consequences of pollution. But that same day Johnson gave her tour, the EPA's Office of the Inspector General issued a report that slammed the agency for dragging its heels on rules that would ensure every decision made be informed by environmental justice. Although Johnson seemed somewhat weary, she did not seem discouraged. "We're not going nowhere," she said. "Because I believe in an old saying. My favorite comedian, Robin Harris, he called us 'Bebe's Kids.' We don't die—"
Smith smiled wide and joined in. In unison they shouted, "We multiply!" They broke into knowing laughter and hugged one another. Then everyone filed back on the bus and headed to Detroit, and another environmental battleground. Puccini’s opera returns to the Lyric, and so does its troubling Orientalism.